The Avalanche of Climate Scare Propaganda: what sustains it? Some answers here. MediaTrackers uncovered Gamechanger Salon, a secretive group of over 1,000 Leftwing leaders and activists from organizations like AFL-CIO, Change.org, NARAL, Planned Parenthood, Huffington Post, CNN, MSNBC, ThinkProgress, Media Matters, and such climate-alarm groups as Greenpeace, Sierra Club, Wilderness Society, US Climate Action Network, shaping news reporting and government policy. The U.S. Senate Environment & Public Works Committee revealed a “Billionaires’ Club” of carefully orchestrated and hidden Leftwing support for environmental organizations totaling over $1.3 billion per year that exploits ties with the Environmental Protection Agency and other parts of the Obama Administration to pass policies Congress, the real representatives of the people, won’t adopt. Capital Research Center exposed a concerted effort in the mainstream media here and around the world, including ABC, CBS, NBC, CNN, and the BBC as well as leading newspapers and magazines, to exclude the views of “climate-change skeptic” scientists from coverage, thus hiding from the public the real and growing debates over climate change among qualified climate scientists. The scale of the these propaganda efforts is breathtaking, as is the extent of the academic, governmental, NGO and business empires which they help sustain. Despite it all, they are struggling to fool all of the people all of the time. They are managing some of the people, some of the time, not least children in schools. Meanwhile, the climate system continues to defy the would-be alarmers since nothing has happened in it to contradict the notion that our CO2 is having only a weak effect - too weak to confirm reliably using temperatures, ice extents, precipitation patterns, cloud extents, storms, etc etc etc. See the scholarly works in 'Climate Change Reconsidered II' for support for this view. 'The eighth grade English test included several short written pieces that students had to read and respond to in order to demonstrate English mastery. One such piece was an article originally published on NASA’s website, “The Summer of 2012 –Too Hot To Handle?” The article discusses the high temperatures and drought during the summer of 2012 and looks at whether ordinary weather fluctuations or CO2-driven global warming are to blame. After reading the article, students were asked to cite the article to describe the overall effect of increased CO2 emissions on the planet’s atmosphere. While the article included input from climate scientists John Christy, a climate change skeptic, the students’ answers were directed to focus exclusively on claims in favor of CO2-driven climate change. “A response receiving full credit will describe the effect of increased CO2 emissions by explaining the relationship between higher temperatures and increased CO2 in the atmosphere,” says an annotation provided for teachers afterwards. Several sample answers were included, with top-scoring answers describing CO2′s effects as including rising sea levels and higher surface temperatures. “The effect of increased CO2 emissions is that the atmosphere becomes a heat source itself… Also the average surface temperature of the entire Earth increases,” reads one answer that was awarded a perfect score. 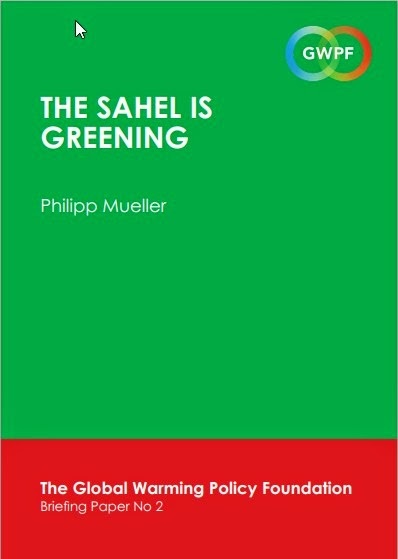 One of the underpinnings of the pathological pessimism such as Paul Ehrlich and other extreme 'environmentalists' have promoted for decades is a sense of foreboding. A sense that everything is getting worse, and that we need drastic, revolutionary change to have any hope of surviving. 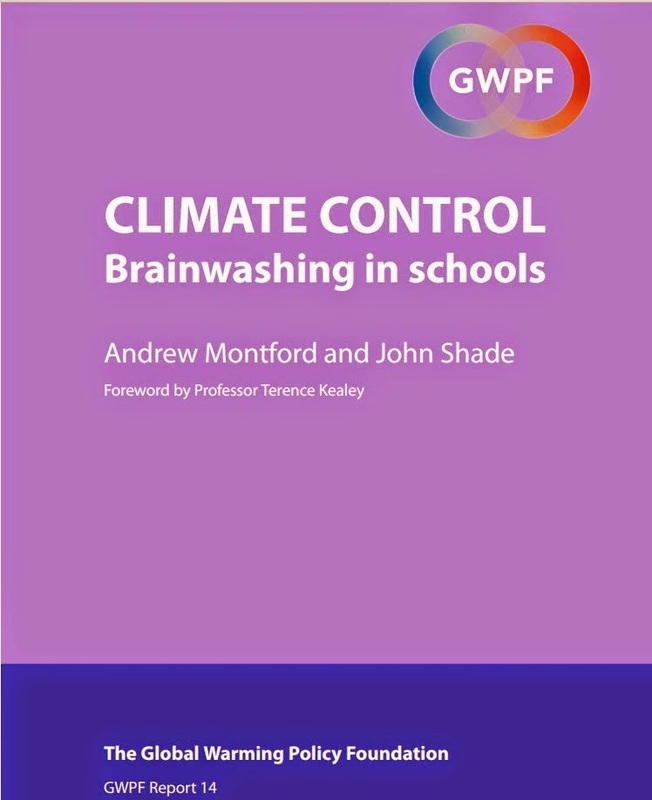 Climate scaremongering is but one vehicle for such promotion, and it was one seized upon with relish by the likes of the Club of Rome, Maurice Strong, and sundry other modern millenarians whose biggest and most successful political monsters have been UNEP and the Intergovernmental Panel on Climate Change (IPCC). There is a lot to be cheerful about. (hat-tip Richard Drake, http://www.bishop-hill.net/discussion/post/2396918). And our children should be told about it. Hansen was a performer in an event stage-managed by Senator Timothy Wirth to make an impact on the US Congress. Wirth sneaked in the night before and opened all the windows in the room to be used for the hearing, thereby effectively disabling the air-conditioning for what was expected to be one of the hottest days of the year. This childish piece of manipulation should not be forgotten. Worse actions than that were to follow in pursuit of political goals through scaring the world about our impact on climate, but this is an early piece of arrogant and shoddy behaviour. As for Hansen in his role as useful idiot, he put on a good show. His faith in his vision of the future has turned out to be a faulty one. 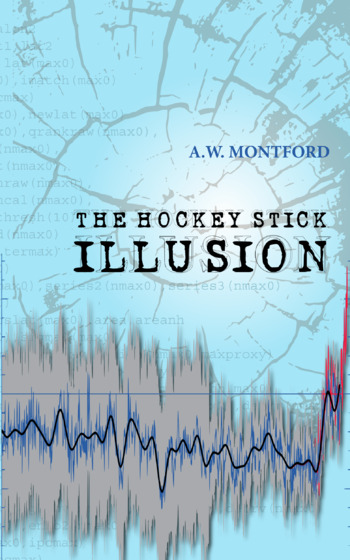 The blog post by Steven Goddard points out how wrong he was on hot summers in the USA. In the same year, he gave another interview in which he assured a journalist that roads in New York would be flooded by rising seas in 20 years. That too has turned our badly for him. Several years after this interview was published, he denied this, claiming he said 40 years not 20 (but even 40 years is not being remotely supported by trends). By then it was clear just how foolish the claim was from a scientific point of view. It was not so foolish from an agit-prop one, and whether or not Hansen was aware of that, his words will have served to mislead many. He held up one die representing the climate for the period 1950-1980. Two sides were white for an average summer, and two other sides were blue for colder-than-average summers. The other two sides were red for hotter-than-average summers. Thus, on a roll of the die for that period, there were two chances in six of having a hot summer at any given location in the country. So far this year, less than 2.5% of days in Maryland have been over 90 degrees, which is the second lowest on record. Compare to the peak year of 1988, when over 19% of days through August 11 were over 90 degrees. 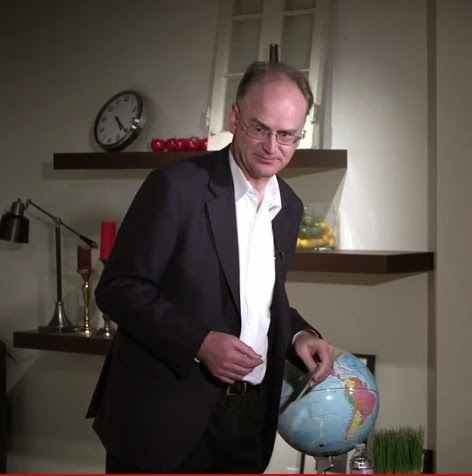 The next 'last refuge' of the climate scoundrels? Jo Nova has reacted to the new button-badge which has apparently been designed to give the climate scaremongering campaign a boost. The circular badge is mostly black, with a bit of green at the foot, perhaps to suggest a decaying plant stalk with just a hint of life left in it, and of course the circle is also used to invoke 'planet earth' since it comes with the tag-line 'It's Not Warming. It's Dying.' Jo has added a footnote to this latest piece of glib and irresponsble scaremongering to the effect that what may be dying is the fear of a carbon crisis. Let us hope so. The planet is, if anything, greening. Furthermore, we humans are doing a pretty decent job of improving it wherever and whenever we have the spare wealth to do so. And almost all of those countries which are still beset with great poverty and deprivation have been making spectacular progress in becoming wealthier. Thanks in part to their increased use of fossil-fuels, just as those fuels were vital for the already developed nations. They remain vital to us today, but we have several options that might allow us to reduce our use of them over the rest of this century if we should wish to do so, for example to reduce air pollution, or to conserve valuable chemical feedstocks. 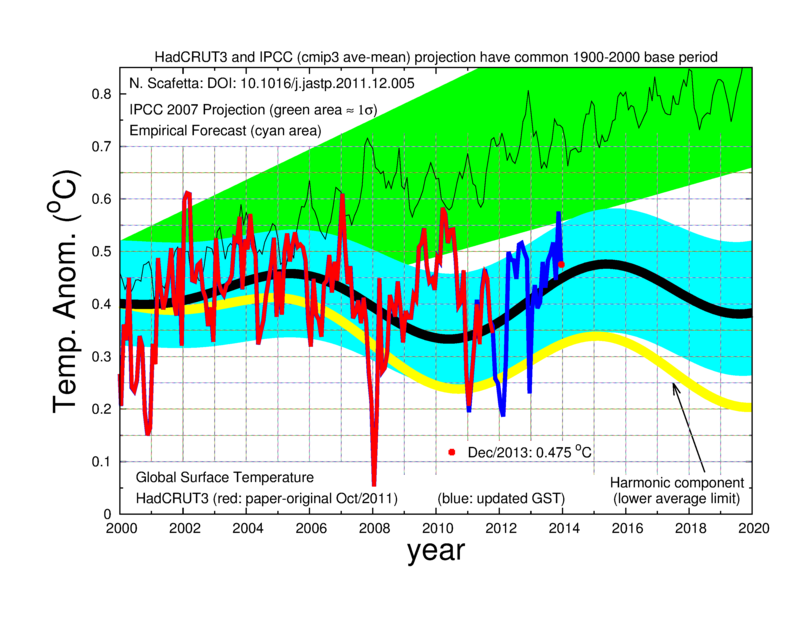 (1) The IPCC is biased. In a court of law, their case would not survive examination as a neutral brief. It is blatant advocacy of a particular point of view. It is not to be trusted for making a balanced case. See this link for a legal analysis to this effect: http://papers.ssrn.com/sol3/papers.cfm?abstract_id=1612851 . The IPCC makes the case for the prosecution of CO2, and it is a far from convincing one. 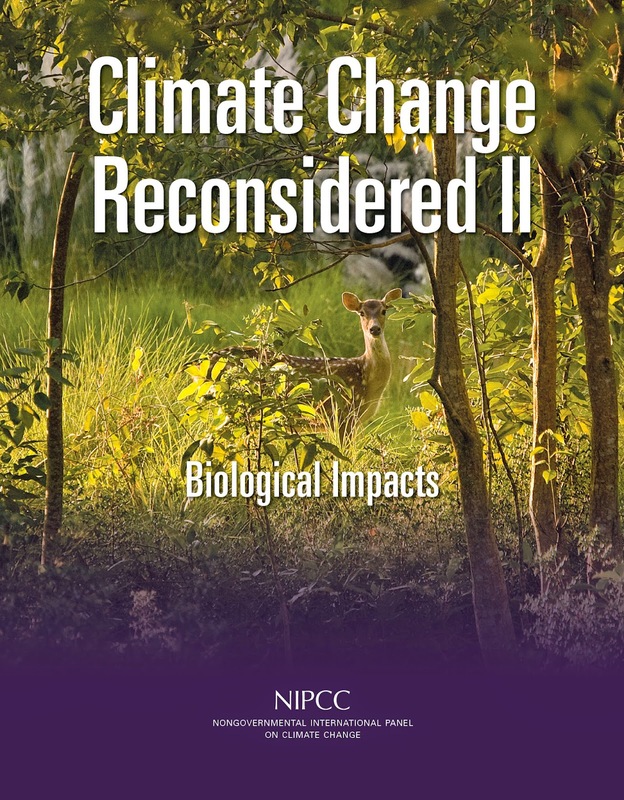 See this link for materials that expose the advocacy by marshalling the substantial scientific case for a calmer view of our impact on biological systems: Climate Change Reconsidered II: Biological Impacts.